Welcome to the incredible world of the electric light! 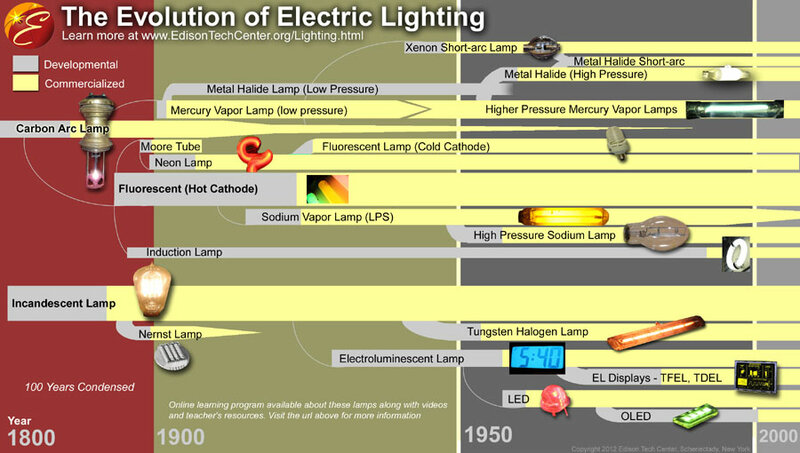 When most people think of early electric light they think of Thomas Edison, however the story of the electric light is much deeper and involves many interesting people in many nations working with varied technologies and materials. Some will say no technology has changed humanity more than the electric light. Due to the importance of this area of engineering we offer a full course of web pages, videos, and educational tools to communicate to you the world of of the electric light and the engineers and inventors who made it possible. Let's start exploring! For a text only version for the visually impaired go HERE. Lots of detailed information, timelines, names, etc. Use the motion menu below to choose the light you want to start with. 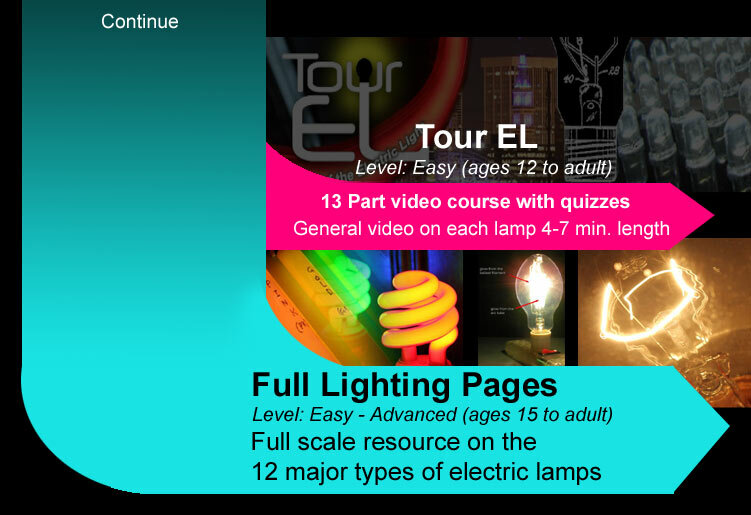 5 min videos on each light type, followed by a 5 question quiz for each lamp type. Linear tour with test for students. Use the introduction video, graphic diagrams and written descriptions. You may need to look up some information from physics to fully understand. We do not provide in-depth physics lessons with this site. With a general physics and chemistry background you should be able to have a good basic understanding of each form of light. Read about the variety of inventors from many nations who helped develop the forms of electric light. In some cases the first inventor is not clear, we often list the developers who created the first commercial product, they refined and finished the invention for the consumer (us). This site is flexible and will make adjustments if new information on developers is found. Connected with innovators is each step in development. It is important to understand how we arrived where we are today in the technology. It is often an exciting story as inventors and engineers fought to keep their jobs and companies alive by trying to find the next big innovation. Some were smart and lucky and stumbled onto solutions, others used brute force and endless, tiring research for decades. From rags to riches, and back to rags again the stories of men and women devoted to their love of exploration via invention plays out before you.